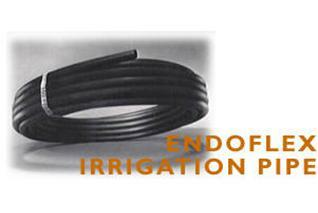 ENDOFLEX IRRIGATION PIPE is designed especially for use in the installation of lawn sprinkler and irrigation systems. ENDOFLEX Irrigation pipe is available in 1/2" through 2" and many standard coil lengths. ENDOFLEX Irrigation Pipe is produced from Quality Polyethylene Resin, providing the most reliable pipe available and years of trouble free service. ENDOFLEX Irrigation Pipe is produced by Endot Industries, Inc. one of the oldest and largest PE pipe manufacturers in the United States. 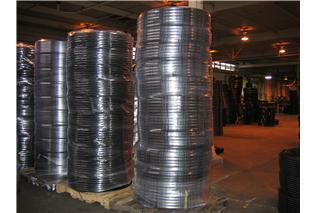 ENDOFLEX Irrigation Pipe is produced at our three locations, New Jersey, Tennessee and Oklahoma.